Sage Accounting: software, support and consultancy | Baxter & Co.
As a firm we recognise that clients not only need advice on their business but also on maintaining their accounting records. 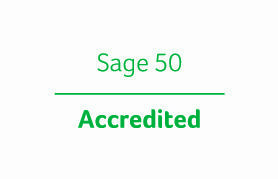 We have been an Accredited Sage Business Partner for over 15 years, and have our own in-house Sage Consultant, Roger Killick, who has a wealth of knowledge and experience on all aspects of Sage Accounts and Payroll. Roger is an expert in helping clients with Sage matters, including integration of data from other products, tailoring the initial Sage product, installation and setup, customising reports, configuration, stationery layouts, setting up stock systems, management accounts, bank and VAT reconciliation or advice on how to post entries including those from payroll direct into accounts. 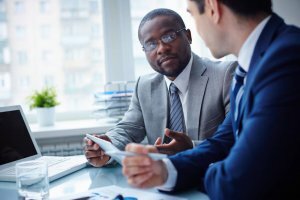 If you are considering Sage for the first time or need help getting the most or of your existing version, then we can help. Report writing, invoice and statement design etc. Many clients are looking for a cloud based solution to their accounting needs and more often than not they are too big for the Sage One, Sage Cloud solution but wish to remain using a market leading accounts package. Sage Drive allows internet connected remote users to access real time data anywhere in the world. Data which remains securely held at head office is synchronised via Sage Drive. However users enjoy the speed and feel of local data especially for reporting which means a massive improvement over using a remote desktop. By linking your Sage 50 Accounts data to the cloud via Sage Drive, you can easily share it with your accountant or other devices. For example, a colleague working from home or anywhere outside the office can access the real-time information from a different PC or laptop and work on the same data as if they were in the same office. The functionality to share data on one Connected Device is included as part of Sage Drive. Live accounts data can be shared securely live online with your accountant. There is no time wasted waiting for files to be transferred. You are also able to see the changes your accountant has made and understand the effect on your business. Please contact Roger on 01689 877081 to discuss the benefits of Sage drive and its compatibility with your existing Sage product. Our first initial review of your needs would be free.